Taking down from the shelf my copy of 2005’s ‘?’ I can see that there have been a few changes in the band since their big-time breakthrough, with singer/bassist Chip Znuff being the only remaining member from back then. But given that to many he was the band, would there actually be much change to their sound? 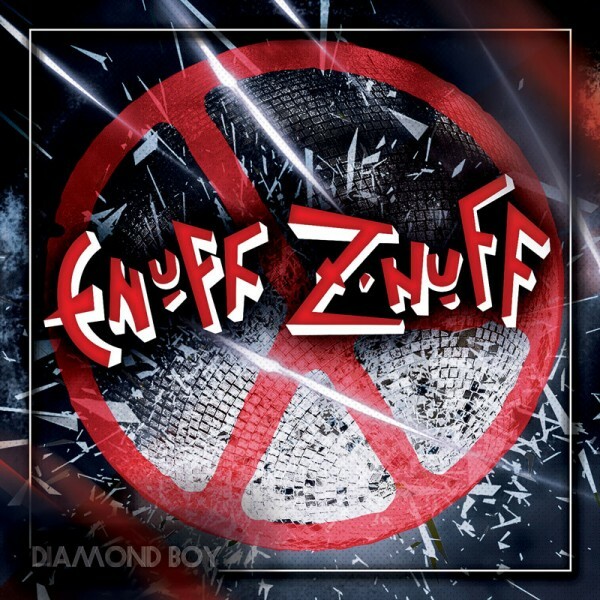 I am glad to report that the answer to that particular question is a resounding “no”, and Enuff Z’nuff are still pumping out highly commercial Cheap Trick-style power pop/rock, which is a sheer delight. Opening song “Transcendence” is only just slightly more than a minute long, and is a strong Beatle-esque introduction to the title cut, where the guitars and drums kick in and we are off into the AOR radio-friendly hook-laden numbers that one has grown to expect from these guys over the years. There are times when one might wish for a little more bottom end, and possibly a little more aggression, but somehow the guys always manage to stay on the right side of twee, with just enough counterweight to the sugar pumped through their music. I have always really enjoyed their albums, and just having this one turn up in my email was enough to make me smile even before I played it. With that name on the cover I know what to expect, and as always Chip and the band (featuring long time guitarist Tory Stoffregen, ex-Ultravox singer/guitarist Tony Fennell, and Chicago native Daniel Benjamin Hill on drums) deliver goods. It just isn’t possible to fall in love with their music, and anyone into AOR will already know who they are and can get this with confidence.